It’s widely known that blueberries contain powerful properties such as Vitamin C and antioxidants, but their amazing possibilities have been confirmed by a recent study from a leading cancer research organization. According to City of Hope Cancer Center, blueberries can aid in preventing the spread of triple-negative breast cancer cells which have proven difficult to treat. About 15% of breast cancer patients have this type which lacks the three proteins that current breast cancer treatment targets. 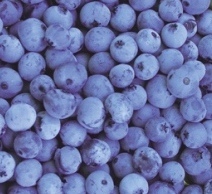 According to Dr. Shiuan Chen, after applying blueberry extracts to triple-negative breast cancer cells, the extract slowed the development and mobility of the cells and even resulted in apoptosis, or cell death, at a higher rate than untreated cells. While blueberries should not be considered a treatment for triple-negative breast cancer, we believe it’s one more great reason to enjoy a bowl of fresh blueberries.